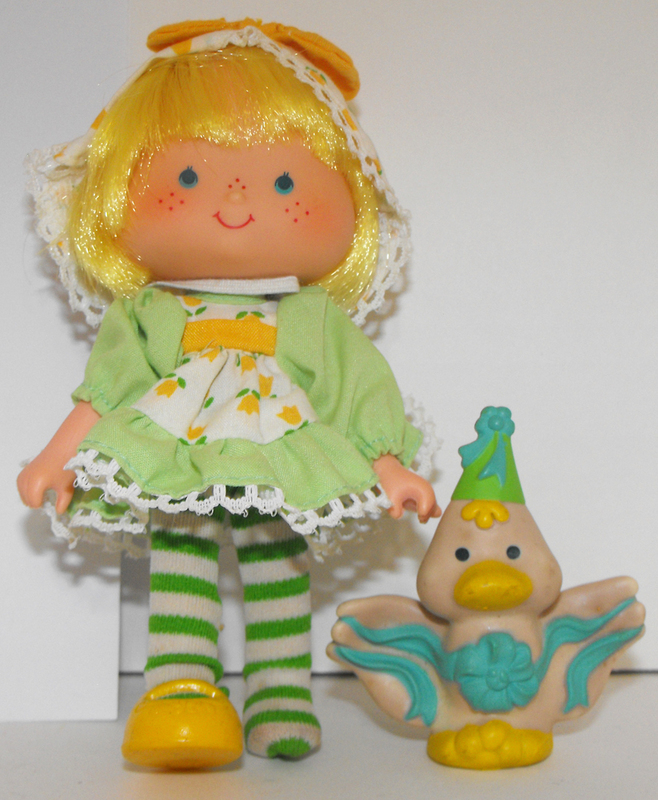 Party Pleaser Mint Tulip and Pet Marsh Mallard from Strawberry Shortcake Cartoon Series. Very Good Condition, not in box or packaging of any kind. Marsh Mallard is a bit miscolored from age.